A few months ago I had coffee with this really nice guy, Dan Schmidt, who somehow convinced me to do what I’m usually very hesitant to do: contribute to a collaborative effort. So I wrote a chapter for his book, Letters to Me. 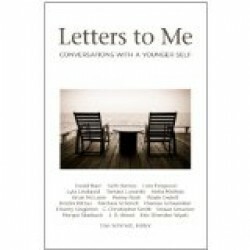 Mostly I agreed because I was fascinated with this idea of writing a letter to my younger self, but the talent of the other writers also got my attention (including folks like Lore Ferguson, Tamara Lunardo, Eric Wyatt, and a whole host of others). Anyway, it’s available in paperback and digital formats. Check it out HERE. I’m also thrilled to announce that Maile and I are finalizing a book about our four-month cross-country trip. It’s called How to Use a Runaway Truck Ramp (and other tales from our cross-country adventure). The goal is to release it on December 10th in paperback and digital formats – stay tuned for more information, cover photos, and giveaways. In fact, if you want a chance to win a free paperback copy just before release, sign up for my email newsletter (you can do that over in the left side bar on this page). More on that the first week of December. I’m so glad you and Maile wrote this book! I can’t wait to read it. Your trip coincided with some huge changes in our lives so I/we watched your progress with great interest and found your posts entertaining, educational, encouraging and empowering. I am excited to read the book.